This is the ninth article in a series looking at the potential cannabis market in states that are rolling out new marijuana programs. The first eight articles examined states that approved recreational or medical marijuana initiatives in the 2016 election. This new round of installments focuses on states that have approved new markets through legislation. A well-established patient pool should allow Hawaii’s eight licensed medical marijuana dispensaries to hit the ground running – once they harvest and process their first crop of cannabis, which is expected this year. Hawaii has had a long-established MMJ caregiver program that has served thousands of patients over the past 16 years. The state legislature approved a full-fledged medical cannabis program in 2015. The law established eight vertically integrated medical cannabis businesses. Thanks to the state’s caregiver program, those eight businesses will have access to a large patient pool, which, as of the end of 2016, was 15,334 cardholders. “There is a base of patients who have been very patient and are looking forward to a system where they can buy lab-tested, high-quality medicine,” said Brian Goldstein, founder and CEO of Manoa Botanicals, an Oahu-based dispensary. According to Marijuana Business Daily, annual dispensary sales are projected to be $15 million to $30 million in the first year after the outlets open. While the eight dispensary operators have their own grows, there will be some opportunities for entrepreneurs to capitalize on ancillary businesses ranging from lighting and legal services to security and transport. The dispensaries have yet to open their doors, however. Hawaii’s MMJ program has been delayed while the state health department attempted to link its seed-to-sale tracking system with the software used by the eight licensees. Two dispensaries were approved to begin growing on Feb. 1, with others expected to following pending inspections. Following the state’s health department announcement last week that its tracking system was ready to go live, the department also gave two dispensary operators the OK to begin growing cannabis. Each of the eight licensees can operate two dispensaries, meaning Hawaii could have up to 16 MMJ outlets. Each licensee also may open two cultivation centers. Keith Ridley, chief of the health department’s Office of Health Care Assurance, said he expects dispensaries to open this year – presumably in the second half of 2017, after the first crop is harvested. The dispensary operators will confront a growing patient pool: According to Marijuana Business Daily, the number of patients will likely top 20,000 a year or two after dispensaries open and possibly hit 25,000-30,000 in several years once out-of-state reciprocity is enacted, which could start as soon as Jan. 1, 2018. That’s expected to spur the state to issue more dispensary licenses over the next few years. While caregivers now grow MMJ for existing patients, state law is set to eliminate the caregiver program by 2018. That should be a boon for dispensary operators seeking patients. What’s more, thousands of medical marijuana tourists could give the state’s MMJ industry an added shot in the arm. “There are excellent business opportunities, especially for dispensaries that focus on providing high-quality medicine to patients,” said Goldstein of Manoa Botanicals. More broadly, Goldstein sees opportunities in several areas, including security, transport, laboratory, testing and growing supplies. The growers will be in a position to tap a readily available labor pool. Many Hawaiian farmworkers have been displaced over the years as traditional crops such as pineapple and sugar are now grown elsewhere. The health department, meanwhile, bars dispensaries from selling smoking paraphernalia, such as pipes or vaporizer pens. Dispensaries can only sell flower and extract products. Consequently, there will be an opportunity for retailers to sell smoking gear. Still, the current limited number of licenses constrains the market for ancillary businesses, according to Stephen Pingree, an MMJ compliance lawyer in Honolulu. The license holders cannot buy or sell product with one another. At the end of 2017, the health department is mandated to examine the number of patients and perhaps issue new licenses. Under the law, there can be one license holder for every 500 patients. Given the growing number of patients, it’s anticipated that there should be some 25-30 new licenses opening up over the coming months and years. Pingree suggested this may be when the licensing regime moves to a horizontal structure versus the current vertical approach, which could generate more business opportunities. He predicts it will be anywhere from 1 1/2 to three years before more licenses are granted. As a dispensary owner, Goldstein would like to see an opportunity to recoup his initial costs before any new licenses are issued. “Hawaii’s a very expensive place to do business,” he said. Any new applicant for a license must be a five-year Hawaii resident and must own 51% of the company. The patient pool has been growing at about 2%-3% a month. Currently, the largest number of patients is on the Big Island, at about 3% of the island’s population. About 2% of Maui’s residents have MMJ cards. Only 0.04% of Oahu residents have medical cannabis cards. Goldstein interprets this as Oahu having the largest opportunity for patient pool growth. After cultivation launches, the next step is lab certification. Two labs, on Maui and Oahu, are undergoing certification. No marijuana can be sold until it is tested. Once the health department establishes rules for reciprocity with MMJ cardholders from other states, some expect a boost in numbers. However, Goldstein isn’t convinced there’s a business opportunity there. In Oahu, the biggest source of visitors is California, and most cardholders there don’t have state-issued cards. With the legalized recreational market coming online in California, the MMJ cardholders will also diminish. Although Hawaii is known for its tropical weather, state law bars marijuana from being grown outdoors. That’s a problem for cultivators when the state has the highest electricity prices in the country. 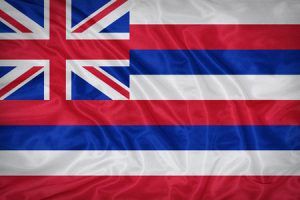 Hawaii’s geographic isolation creates other hurdles for MMJ firms, including no national banks with an established presence. Also, each island is separated by federal air and federal waters – especially problematic for transporting product for lab testing. Pingree considers current lab testing requirements “unworkable” because they test for too many pesticides. He wants them eased. State statute prohibits any kind of cannabis advertising, which will constrain the opportunities for the tourism market, Pingree said. “You have to have a pretty strong stomach to deal with a lot of these uncertainties and build a business,” Goldstein said.